All Natural Raw Wildflower Honey from Hillside Beekeeping Supplies. Honey is a healthy sweetener to use in your tea, desserts or cooking. Our bees collect nectar from area gardens, farms and orchards. 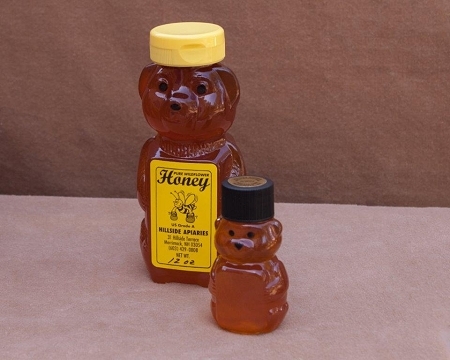 Honey is packaged in a 12 oz Squeeze Bear with a flip top.